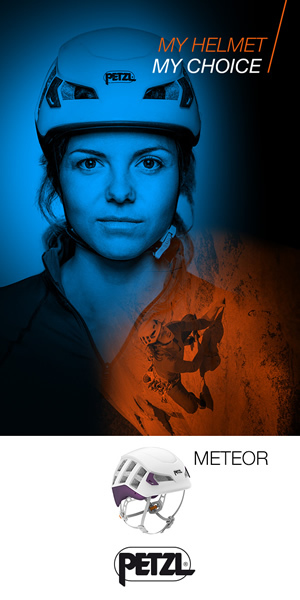 The NOCTILIGHT is in a little bit of a strange direction for Petzl, who usually produce very well designed and technical equipment, at first glance the little lantern looks a bit thrown together! The NOCTILIGHT is basically a small zipped pouch with a semi-transparent and domed end to allow the light from a headlamp to shine through. To look at this is nothing special but with a weight of only 85g if you're already carrying a headlamp it makes a lot of sense. Initially we were a bit sceptical as our first use was on a car camping trip, traditional LED lanterns surrounding our little NOCTILIGHT were offering a better useable spread of lighting which tended to drown out our Petzl unit, even when using a REACTIK+. However once we took the lantern into it's natural habitat of a wild camp the solution from Petzl immediately made more sense. On lighter weight and wild camping trips where you already have a headlamp with you the extra weight of a NOCTILIGHT is negligible, and once you place your headlamp inside you have a nice little unit which can be placed on flatter surfaces as a lantern or hung from your tent with it's included hanging system. We tried our unit with Petzl's ZIPKA and REACTIK+. The ZIPKA wasn't ideal as the lack of headband to pad out the space resulted in the headlamp rattling around inside, it was also difficult to turn on and off due to the ZIPKA not being in the sweet spot and the light had a habit of falling away from the diffuser dome unless hung up, producing not much light. Our quick solution for this was to stuff in a Buff which solved the problem immediately. With a REACKTIK+ (and any headlamp with a headband) the fit was far better inside making the NOCTILIGHT a great lightweight addition. Out of curiosity we tried the REACTIK+ in reactive lighting mode which worked fine but killed off any reactive features as the sensor picks up the reflected light from the dome. Normal non-reactive lighting mode works fine at different brightness levels. Overall we can thoroughly recommend the NOCTILIGHT for trips where weight or pack size are an issue. For car camping use, a larger LED lantern will give a broader spread of light.